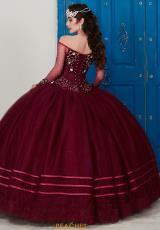 You'll be sure to dazzle the crowd in this Tiffany Quinceanera gown 24039. The stunning bodice has an off the shoulder sweetheart neckline with long sheer sleeves. 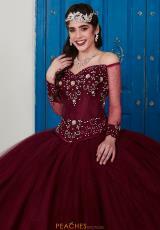 The sleeves are embellished with rhinestones and elegant lace applique at the bottom. The rest of the bodice is lined with the same delicate lace and bead work, which wraps around to the corset back and lines the lace up detail. 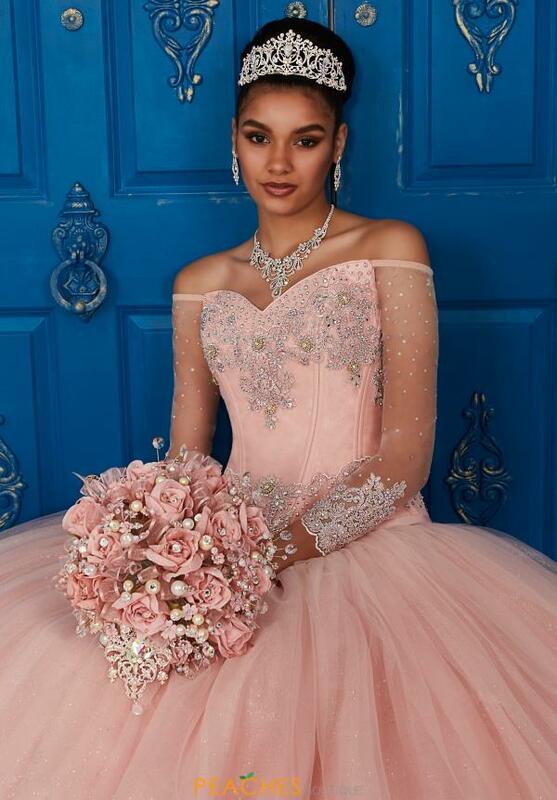 The full skirt of this ball gown is made from a glittery tulle and the bottom has satin stripes and ends with beautiful lace trim.